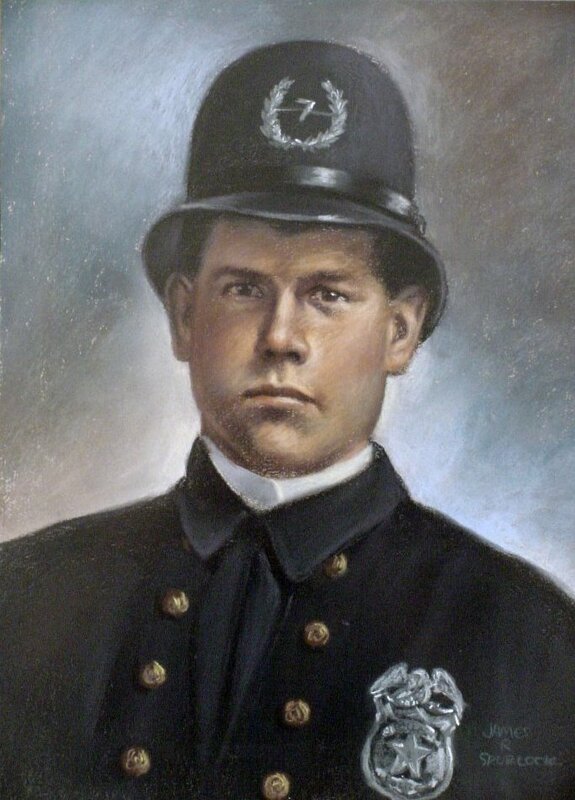 Officer Leslie Patrick succumbed to a gunshot wound while arresting a man for stealing a horse on Dover Street. A struggle ensued and the man pulled out a handgun. The subject struck Officer Patrick on the head with the gun and it discharged, Striking him in the head. Officer Patrick was transported to his home and then to the hospital when he became unconscious. He succumbed to his wound two days later at the hospital. The suspect was initially sentenced to 40 years but in a second trial had his sentence reduced to five years for shooting Officer Patrick and two years for stealing the horse. Officer Patrick had served with the Dallas Police Department for one year and was survived by his brother and sister. He was buried in Edgewood Cemetery, Lancaster, Texas. Rest in Peace Police Officer Leslie N. Patrick. Thank You for your Service and Sacrifice protecting the citizens of Dallas, Texas. I Pray for Peace for your ancestors. I also Pray that the hounds of hell are gnawing on the scum responsible for your murder. May his screams of anguish rise up from the lake of fire to warn other evil doers of their impending fate.